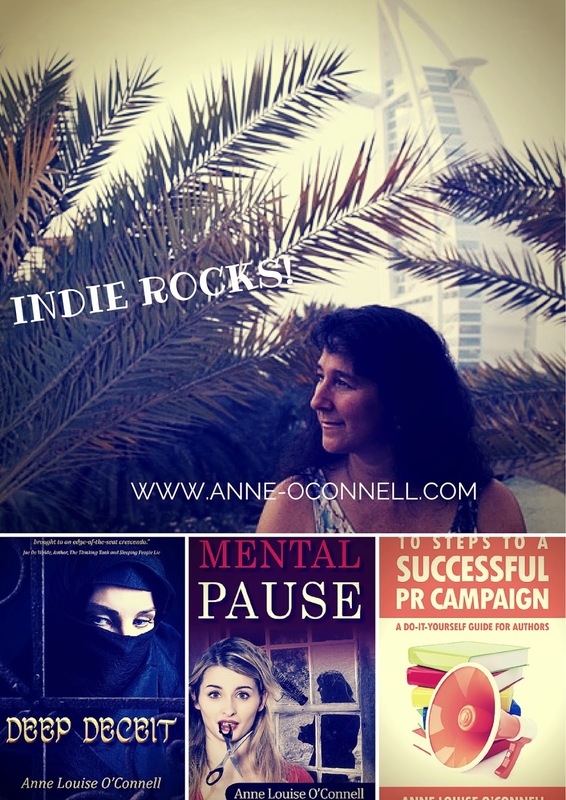 Now with three self-published books under my belt I thought it might be a good time to share a few of my favourite self-publishing tools that I have in my repertoire. There are hundreds to choose from and these are a select few that keep cropping up each time along with a couple new ones I found (or that just evolved) as I prepared to publish Deep Deceit. It was about three years ago that I started following Shelley Hitz and getting her newsletter, participating in her ebook publishing webinars (Get Your Kindle eBook Done!) and reading her books. Since then she has partnered with Heather Hart and they continue to offer great resources to indie authors through their company Training Authors. I still pull out her template and re-watch the video each time I get ready to convert my manuscript into a Kindle ready document for upload to Amazon. I found these after I had uploaded my print file to Create Space but will definitely use one of these next time. I did have the interior layout of my first novel done professionally but decided to try a template for Deep Deceit as my budget was a bit tighter this time around. There’s nothing wrong with the 5x8 book layout template I used in Microsoft Word (take a look at the ‘look inside’ option on Amazon and let me know what you think) but I’ll do the header differently next time. Maybe I’ll even change it and re-upload the file… one of the many benefits of self-publishing J After getting Joel’s newsletter for a while now, I’ve decided to give his templates a try next time. They just have that little extra flair that really sets a book apart. Many indie authors choose to design their book covers themselves but I prefer to hire a professional to make sure that the first thing someone sees, my book cover, is the very best it can be. The nuances that make the difference between bad and good and good and great are difficult to accomplish without the right training and expertise of a graphic designer. Can you create something that’s ok using a template? Sure. But, it won't stand out among the crowd. And, it’s finicky work. If you don’t like the thought of spending hours choosing exactly the right font, moving graphics around millimeter by millimeter until you have the perfect balance, combing image catalogues to find exactly the right ‘look’ for your book, then hand it over to a professional and get back to writing. I used this free web-based design tool, ‘evangelized’ by Guy Kawasaki, to create the headers for my social media (Twitter and Facebook) and the image collage for this blog. There are many more options, including book cover design, posters, presentations and more. There are loads of free images to choose from along with paid offerings, which only cost $1 per image as well as the option of uploading your own. Just as I was closing in on typing ‘the end’ on Deep Deceit, one of my favourite self-publishing gurus, D’vorah Lansky, launched an online boot camp for book marketing, which is something that us self-published authors cannot avoid, unless you have a big bankroll or an angel investor. I jumped in with both feet and, even though I spent 20 years in PR and marketing and have been building my author platform for a few years now, it was still a fire-hose of information that I eagerly absorbed as best I could, taking notes and highlighting the things I hadn’t tried as well as a few things I forgot to include in my launch plan. There's even ongoing support on the Facebook group of the same name for those who survived 'boot camp'! I have great hopes this year of creating my first webinar, which was one of the more advanced strategies, so stay tuned! D’vorah’s trainings and resources are targeted mostly towards non-fiction but there is still relevance when marketing fiction. The elements are basically the same, with a slightly different approach. I could go on but this post is getting a little long so I’ll save some for next time. If you have any self-publishing tools that you’ve used and would like to share your experience (good or bad) please feel free to leave a comment. If you'd like to receive my newsletter, book launch announcements or information on upcoming writing retreats, go ahead and sign up for my newsetter :) When you sign up, you'll also receive a free copy of my ebook, 10 Steps to a Successful PR Campaign - a Do-it-Yourself Guide for Authors. Thanks for the very useful information, Anne! You've just about covered all the tips needed. Will definitely save this for my next venture!